Following years of storm water management issues, Annapolis, Md. has awarded a 20-year contract to environmental firm GreenVest. The City of Annapolis, Md. has made a commitment to solve its storm water management issues by awarding a 20-year contract to environmental firm GreenVest. According to Bay Bulletin, the firm will work with the city on spots that need better storm water solutions to keep runoff pollution out of Annapolis waterways and the Bay. The City of Annapolis includes roughly 4,600 acres, and it is densely populated, between commercial, industrial, residential, and multi-family properties. The founder and CEO of Greenvest, Doug Lashley, said that many properties were developed before storm water mitigation was even a priority. “Historically, all stormwater was designed to go to the lowest point of land— usually a stream— all of which goes to the Severn and South Rivers and/or the Chesapeake Bay,” Lashley said to Bay Bulletin. According to Bay Bulletin, many areas of concern are on private property, therefore, GreenVest first has the task of reaching out to each owner with a letter of intent for permission. “It’s a big undertaking to get consent,” Lashley said. The highest priorities are on Spa Creek and Back Creek, Lashley said. The firm will take on these areas in the next 12 months, according to Bay Bulletin. For the two projects, storm water managers will be working with homeowners’ associations, condominium associations, and different organizations. According to Bay Bulletin, some property owners have already been in communication with the city about their storm water issues, especially those where the property is eroding and conditions have become dangerous. Lashley said that while most property owners do not love the idea of his team trespassing to study it and carry out the work, they will realize how it benefits them and the water. 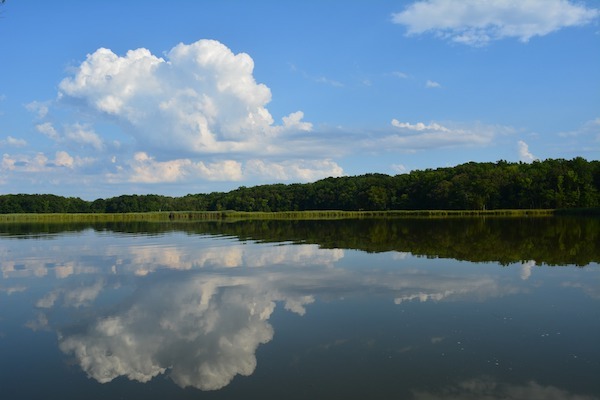 Lashley and the firm has assembled a team of expert resources to help carry out the contract, including BioHabitats, Environmental Quality Resources, South River Federation, and Princeton Hydro. The city’s projects will be paid for with funds from its storm water fee, as well as federal and state grants, according to Bay Bulletin. GreenVest plays a large role in securing those grants. Lashley said his company’s ability to bring funding to the table is one reason they won the contract with Annapolis.